Google decided they’d had enough of the CAPS LOCK key. For the Google laptop, they changed the caps lock key, instead they called it the Search key. Of course, classicists were shocked, but in a modern context it makes sense. The caps lock key is seldom used – if you want caps, for shorter lengths of text you can use the shift key, for longer text you can select the text and use an application like OpenOffice, Word, or whatnot to convert the selected text to all caps. 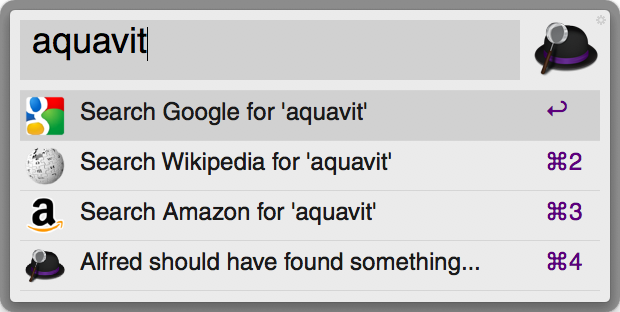 Search is now a common computer use, so it makes sense to have a quick key for it. I read a couple tutorials on how to reproduce this on a Mac, here I present a simple distillation of those instructions. It should take only a minute or two to do. Download and install the free apps Alfred and PCKeyboardHack. You’ll have to reboot after installing PCKeyboardHack. 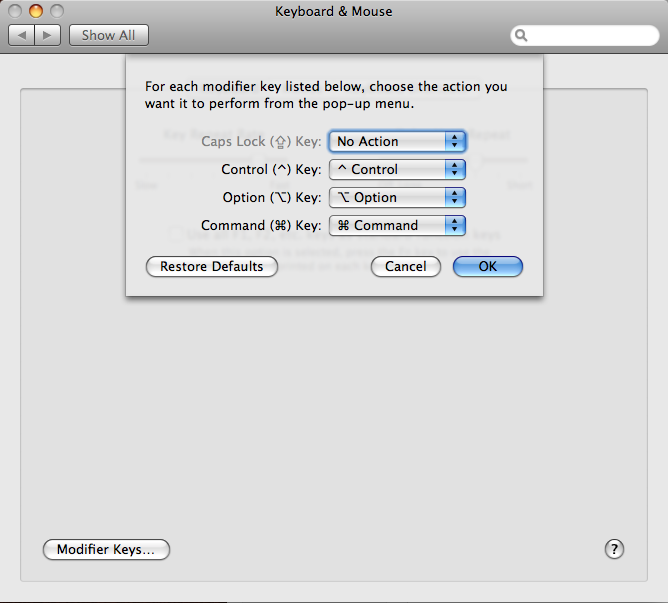 Launch System Preferences, and click on “Keyboard & Mouse”. Click the “Modifier Keys” button and set Caps Lock to “No Action”. Click “Ok”. You can close the Keyboard preference window. 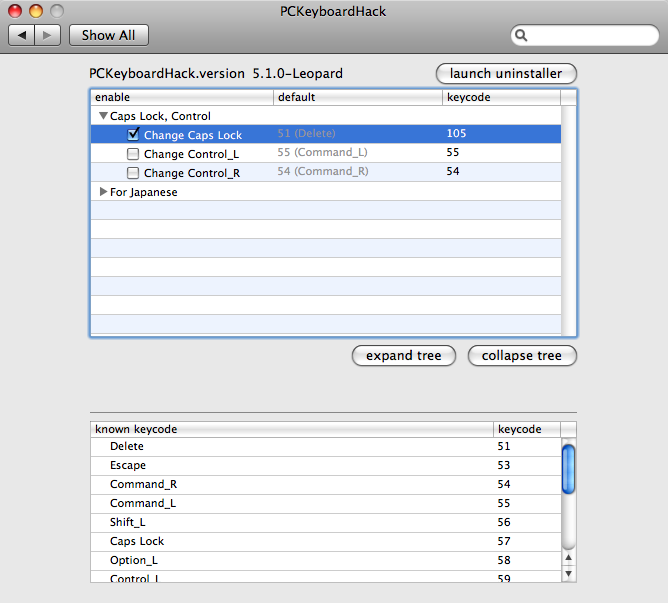 Launch System Preferences, and click on the PCKeyboardHack control panel. Expand “Caps Lock, Control” and check off “Change Caps Lock”. Double-click on “keycode” for that line and set it to 105 (that’s the keycode for the F13 key). You can then close the PCKeyboardHack window. 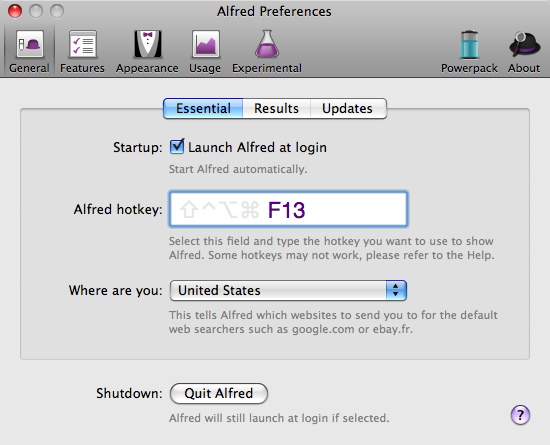 Launch Alfred, which will open the Alfred Preferences. Click “General”, then click on the Hotkey box and CAPS LOCK. Alfred should say it’s F13. You can close the Alfred preference window. All Done! Now when you press the CAPS LOCK key, it will launch Alfred’s quick search. You can type in a search term, and you will instantly see options to launch applications, or search Google, Wikipedia, and other sources. This is configurable in Alfred, if you want to customize it.